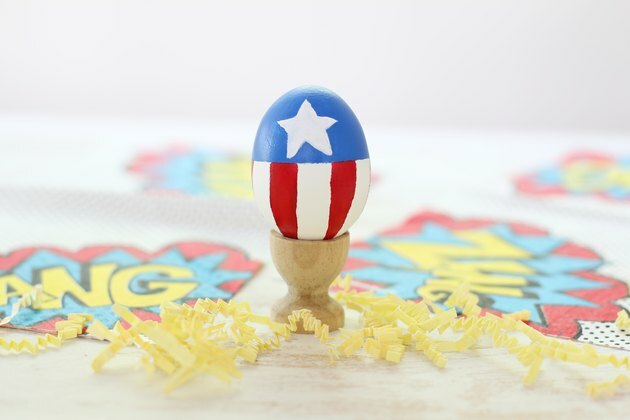 Avengers: Endgame hits theaters soon, and we're counting down the days until our favorite Marvel characters join forces to save the universe. 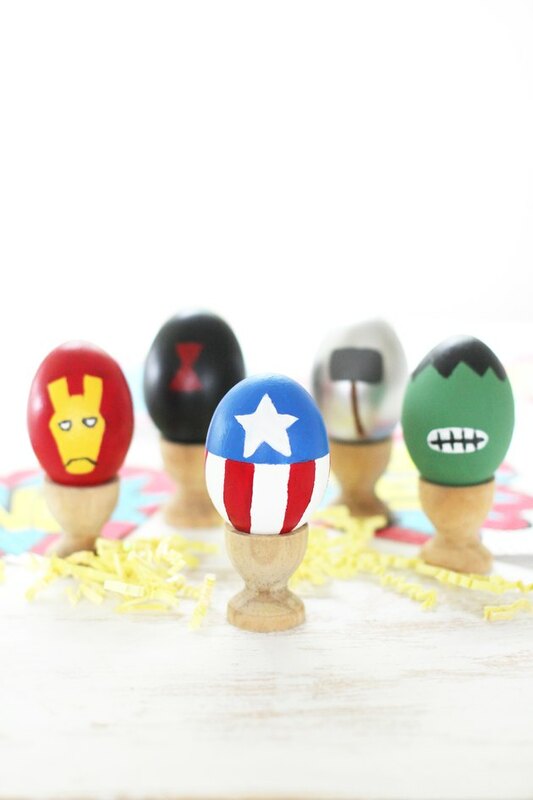 To celebrate, we're combining spring festivities with comic book fun by painting Easter eggs to look like mini superheroes. 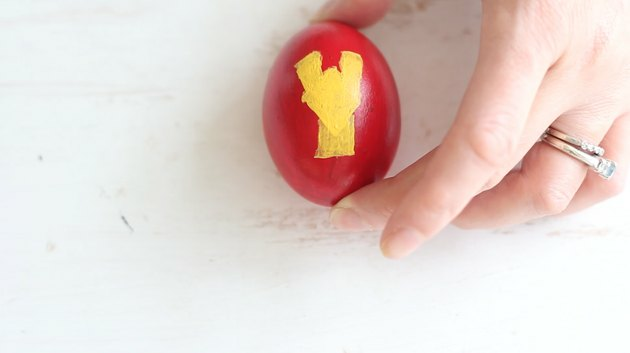 By picking easy shapes and symbols, these are totally doable on your own or with kids. 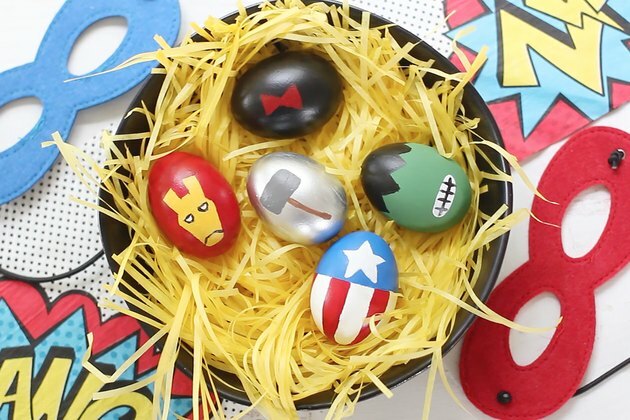 Displayed in a colorful basket or tiny egg holders, they make for a fun and festive Easter display that any Avengers fan will love. 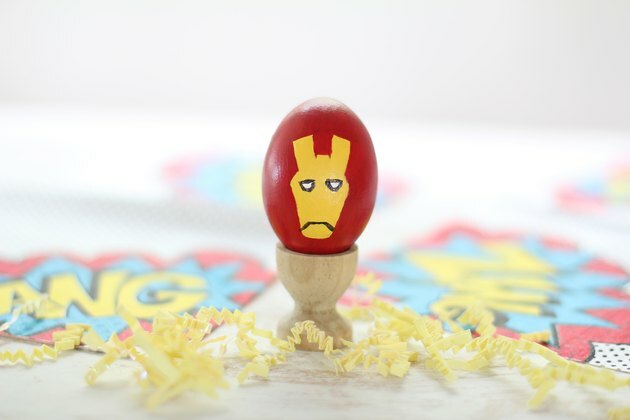 Painted eggs are not edible. 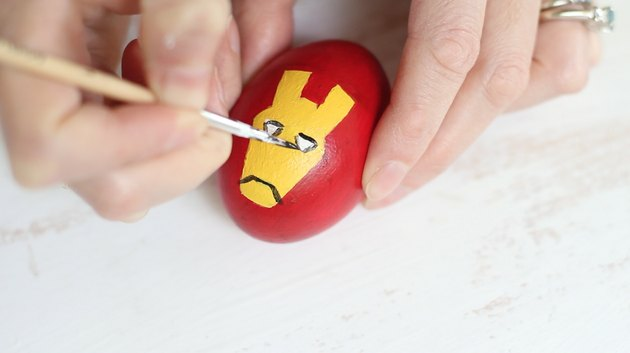 Do not paint real eggs that you intend to eat. 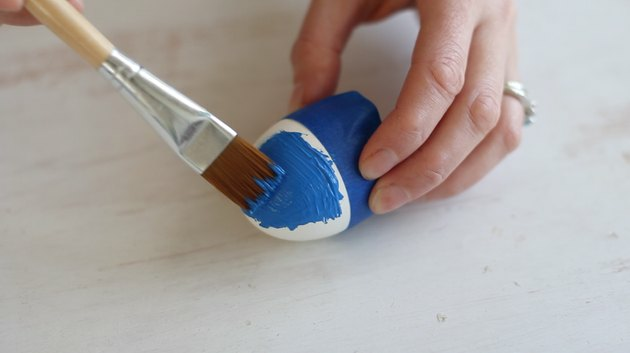 Tape off the top half of the egg and paint it blue. Let it dry, and then remove the tape. 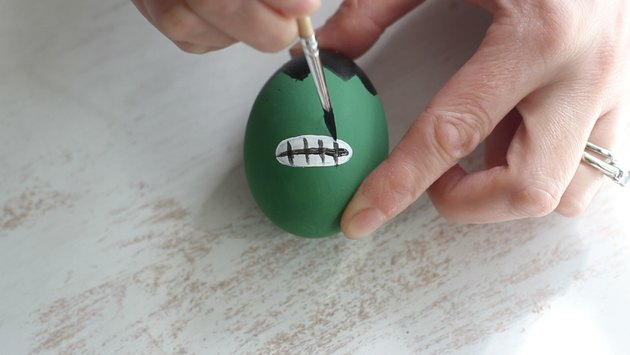 Tape off vertical stripes around the bottom half of the egg. 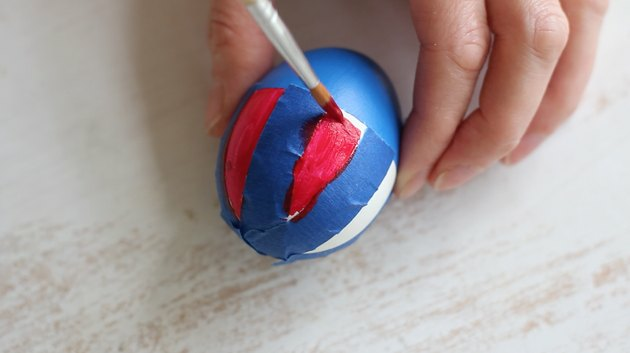 Paint the stripes red, and remove the tape once dry. 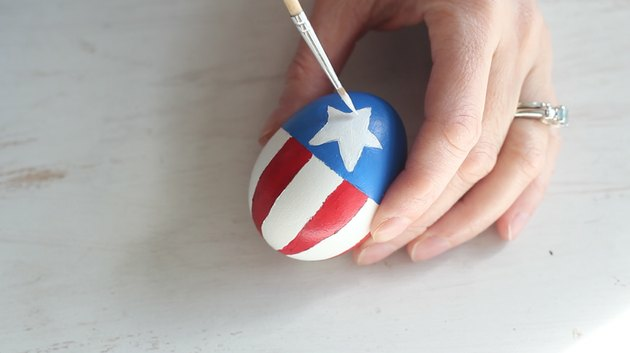 Paint a large white star inside the top blue half of the egg. 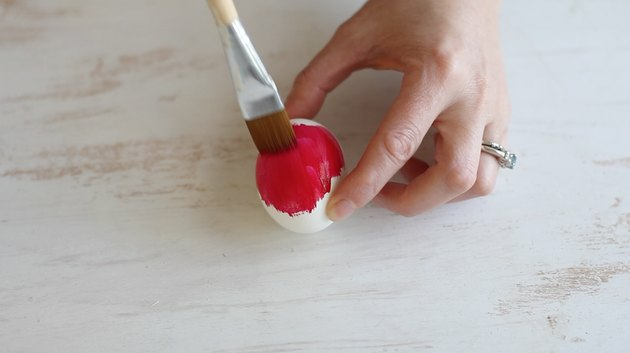 Paint the entire egg red, and allow it to dry. 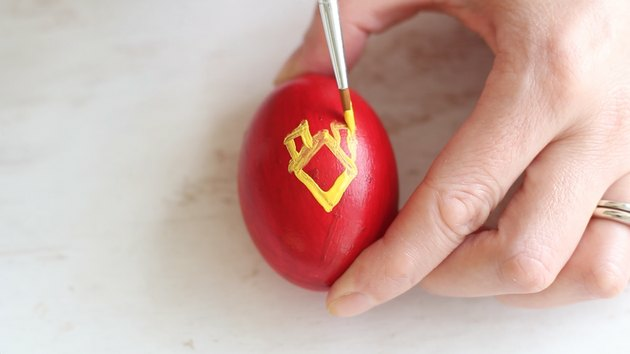 Paint a yellow diamond in the center of the egg. Then paint two rectangles at the top of the diamond. Fill in the diamond and rectangles with paint. Then paint a rectangle at the bottom of the diamond. Paint lines from the bottom points of the rectangle up to each side of the diamond and fill in with paint. 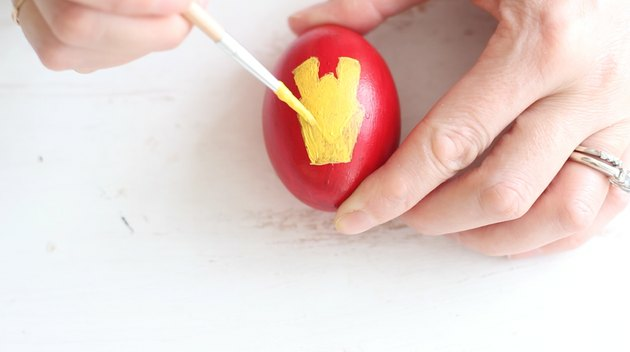 You may need several coats of yellow paint to cover up the red paint underneath. 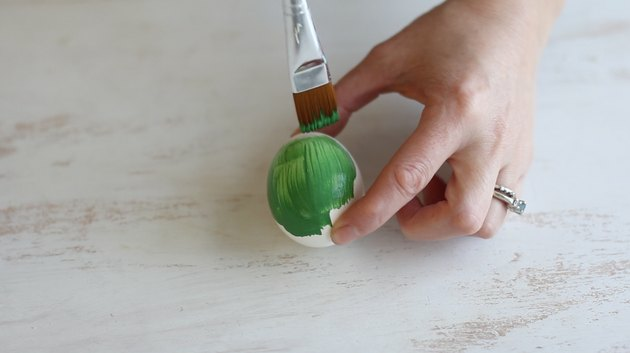 Paint two white semi-circles for the eyes, and outline them in black. For the mouth, paint one straight black line and then a diagonal downturned line on each side. 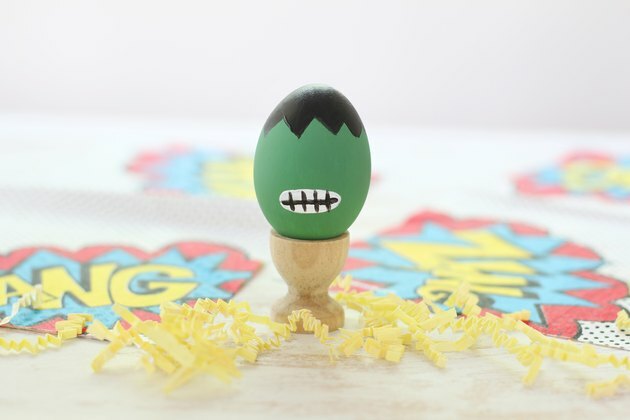 Paint the entire egg green. 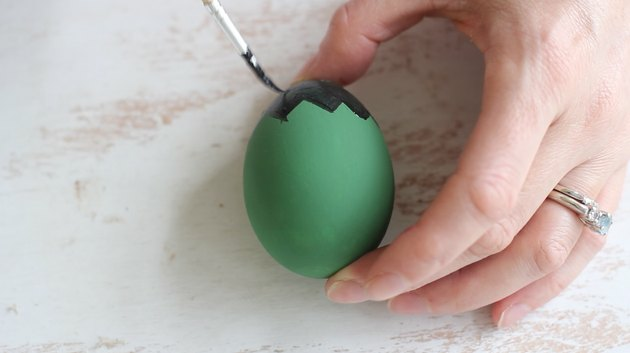 Paint a zigzag hair line around the top of the egg. 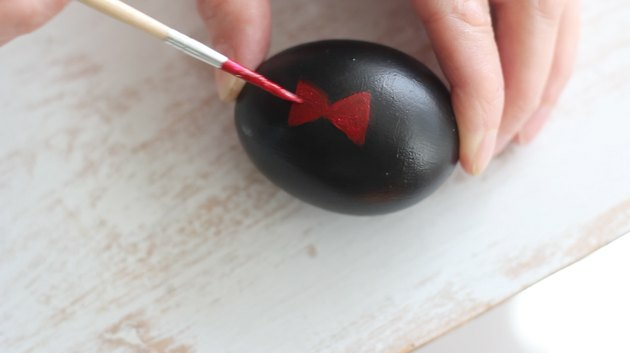 Paint a white oval with a black gridline for the teeth in the center of the egg. 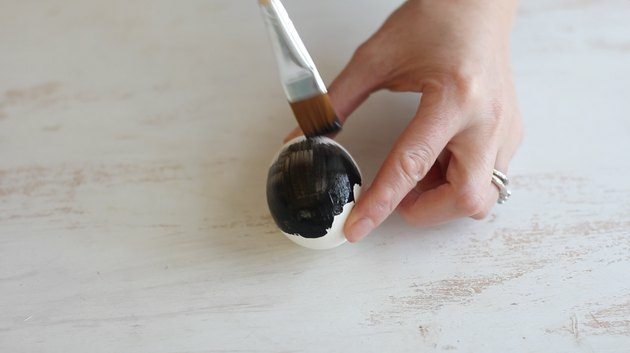 Paint the entire egg black. 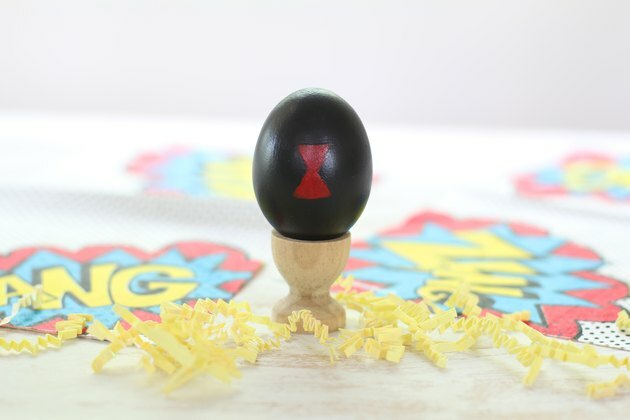 In the center of the egg, paint two red triangles, one right side up and one upside down, to create the black widow symbol. 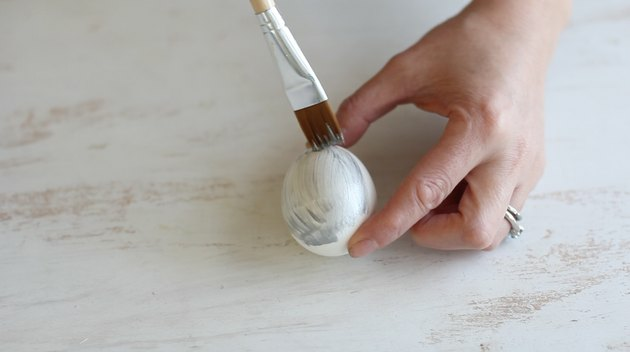 Paint the entire egg silver. 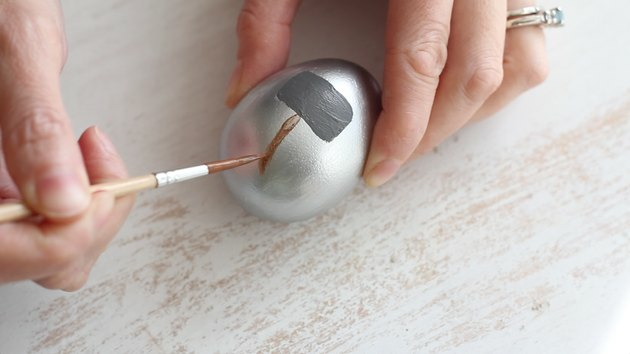 Paint a gray rectangle in the center of the egg, and a brown line for the handle. 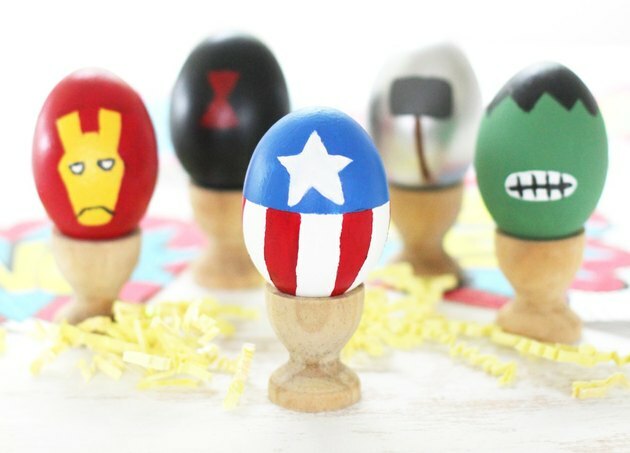 Now your Easter eggs are ready to save the world!